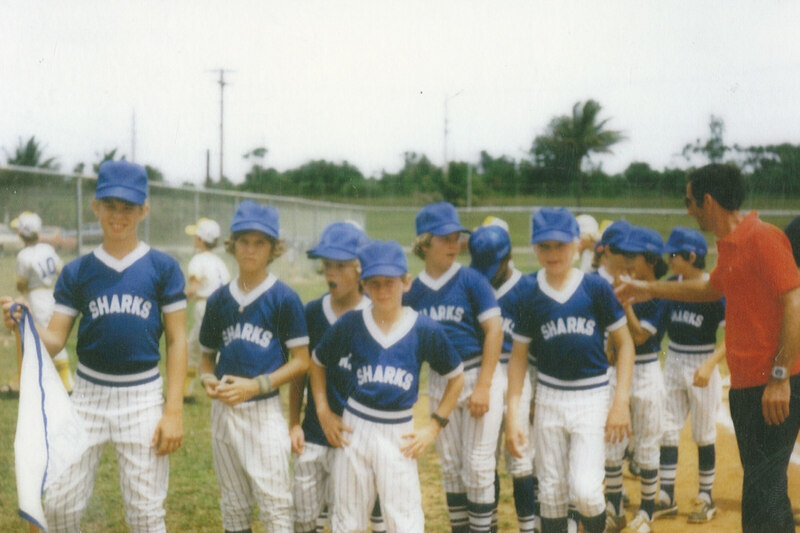 The Guam Sharks were an interesting bunch. 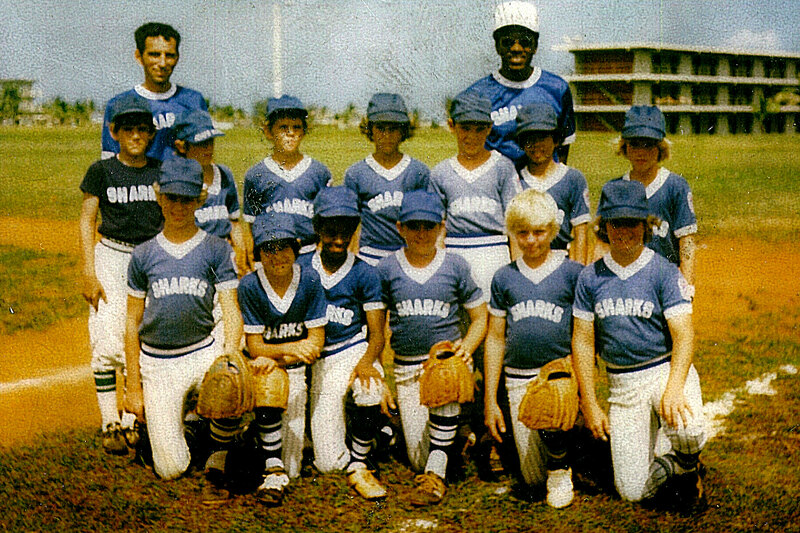 I had previously played on-base at NAVCAMS, but in 1980 the little league season was cancelled due to lack of interest. Well a few coaches decided to field a team of some of the better players and play in the off-base Guam Little League against the locals. 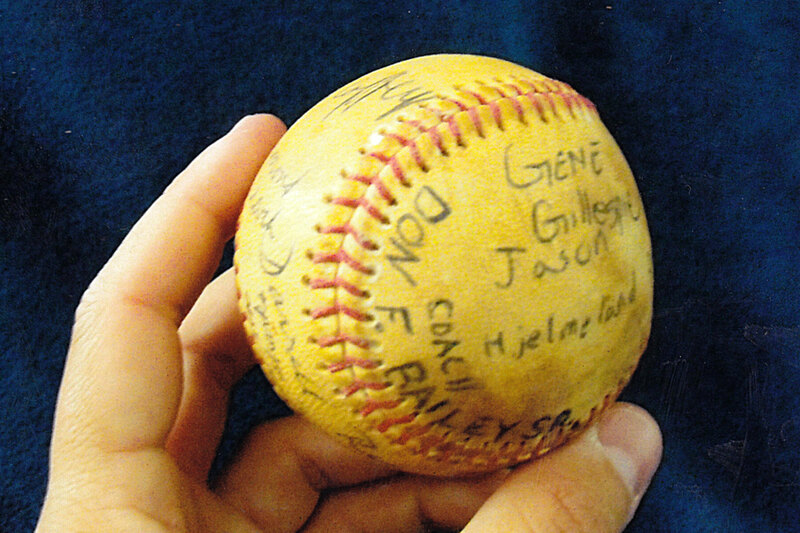 The players included myself and some of my friends including Ronnie Gyure Jr., Jason Hjelmeland, Pat Jacobson, Troy Francisco, Bon H., and Gene Gillespie. Even this team got off to a rough start. We would practice at the football field near the community center on the South Finegayan housing area. We were so lazy and lacking discipline at times (which was surprising) that our coaches actually quit in disgust. Instead of telling our parents what happened (they spent money on this!) we decided to just continue to show up for practice every day. We ran a haphazard practice but mostly fooled around for two hours. I can vividly remember an incident when our two biggest players, Pat and Troy, got in a heated argument and had quite a tussle. We all ended up breaking it up. 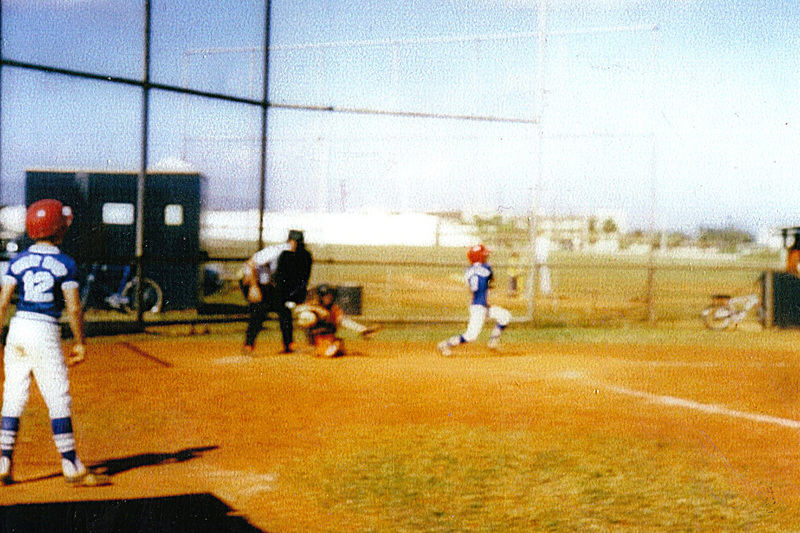 I can remember trying to keep it together as best I could because I really wanted to play baseball. Our coaches eventually came back and we got into a groove after that. 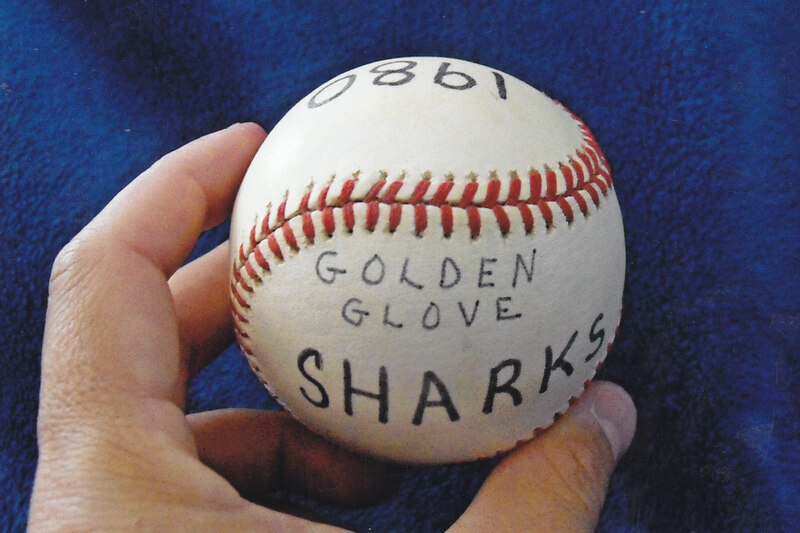 It was very unusual for a military dependent team to play in the off-base league and it did not happen again until almost twenty years later. We were generally outmatched by the locals (they were huge!) but we held our own at times. We played a lot of games at Dededo Junior High School and somewhere in Yigo near Anderson AFB. 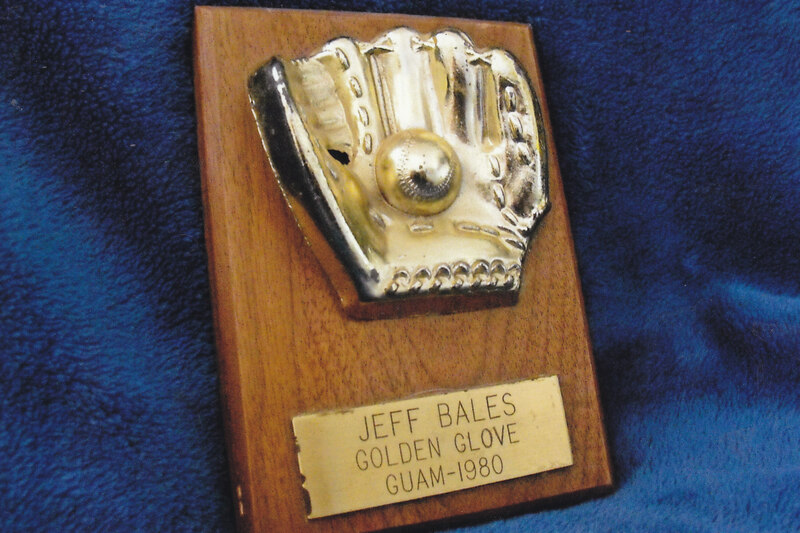 I remember being a defensive stalwart at shortstop and voted our Golden Glove winner by our coaches. Meanwhile, as we played the locals, the kids on NAVCAMS finally showed interest and a small four-team league was formed on base. When both of our seasons concluded our coaches challenged their coaches to form an all-star team of their best players and play us in a best-of-five series. 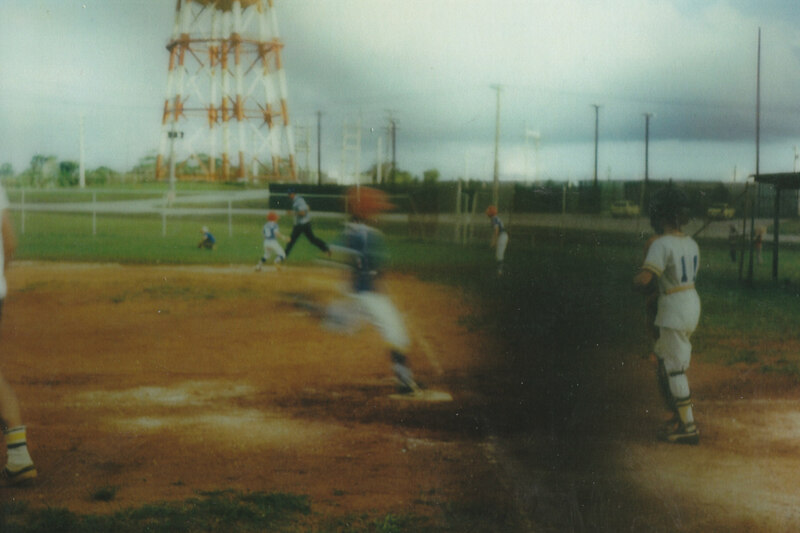 We played at the little league field on NAVCAMS. They had a few decent players, but only player I remember was a tomboy girl at first base named Duchess. 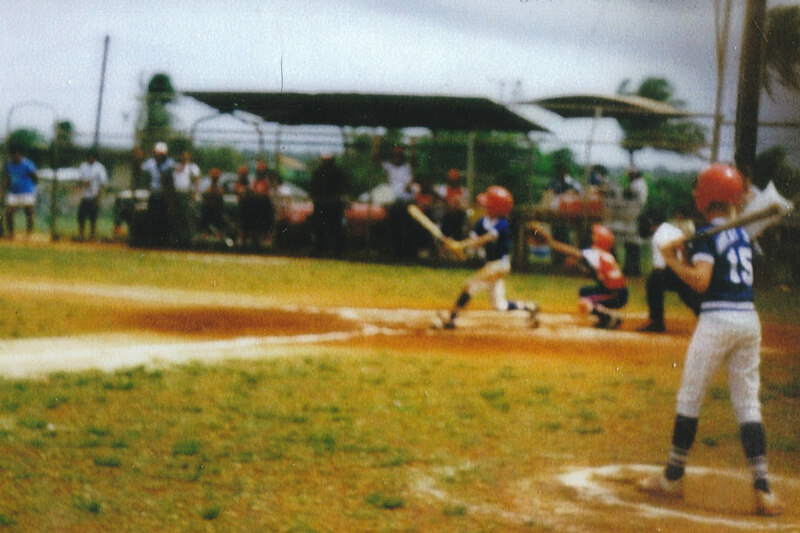 I think that series was some of the best baseball I ever played. Their coach called me the human vacuum cleaner at shortstop and I scored numerous runs against them. 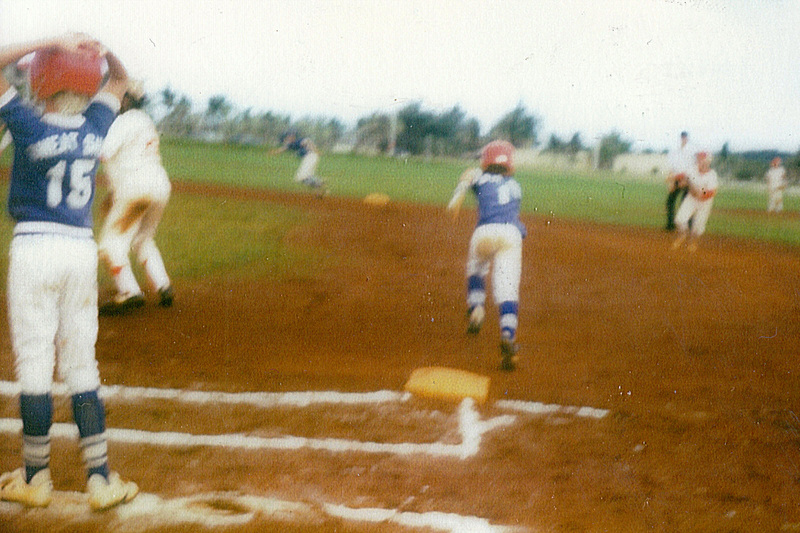 One memorable play featured me diving headfirst into home plate curving around their catcher. Their coach argued that I never touched home plate, but the ump pointed out that you could see my fingertips on the dirt-covered plate. We overwhelmed them 8-1, 5-1, and 5-1 to end the series in three games. I was sad to see it come to an end. From left to right. 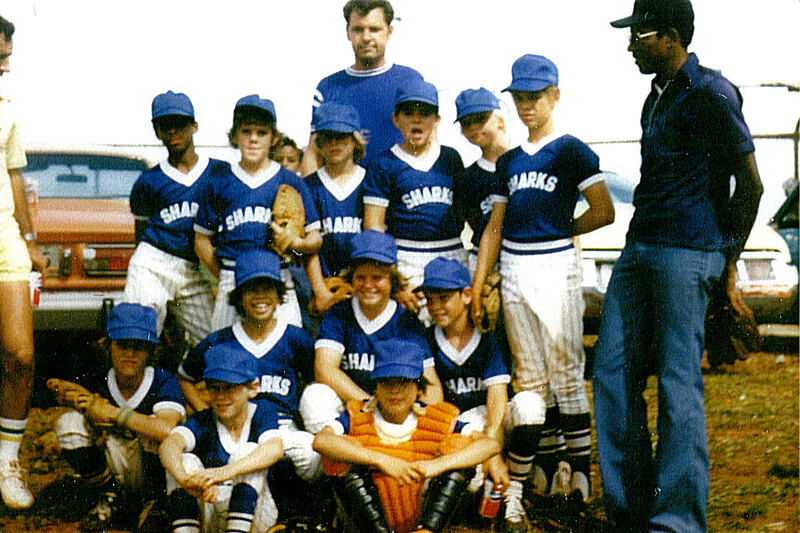 BOTTOM ROW: Possibly Raymond Clark & possibly Darrell Romero (in catching gear). MIDDLE ROW: Jeff Bales Jr. (with glove across knee), Bon H., Troy Francisco, & Donnie Bailey Jr. TOP ROW: Elton Coffey, Ronnie Gyure Jr., Jason Hjelmeland, Ronald Dubois, Gene Gillespie, Pat Jacobson. COACHES: I think its Ron Gyure Sr. in yellow shirt and cut off on left of photo, Don Bailey Sr. in back, and Elton Coffey's father on right in jeans. From left to right. BOTTOM ROW: Pat Jacobson, possibly Darrell Romero, Elton Coffey, Ronald DuBois, Gene Gillespie, Troy Francisco. TOP ROW: Unknown, possibly Raymond Clark, Ronnie Gyure Jr., Jeff Bales Jr., Donnie Bailey Jr. Bon H., and Jason Hjelmeland. COACHES: Possibly Ronald Gyure Sr. and Elton Coffey's father (in white hat). From left facing camera its Pat Jacobson, Jeff Bales, Jason Hjemeland, Raymond Clark, Trot Francisco, and Gene Gillespie. Opening day ceremonies. Possibly at Dededo Junior High School. 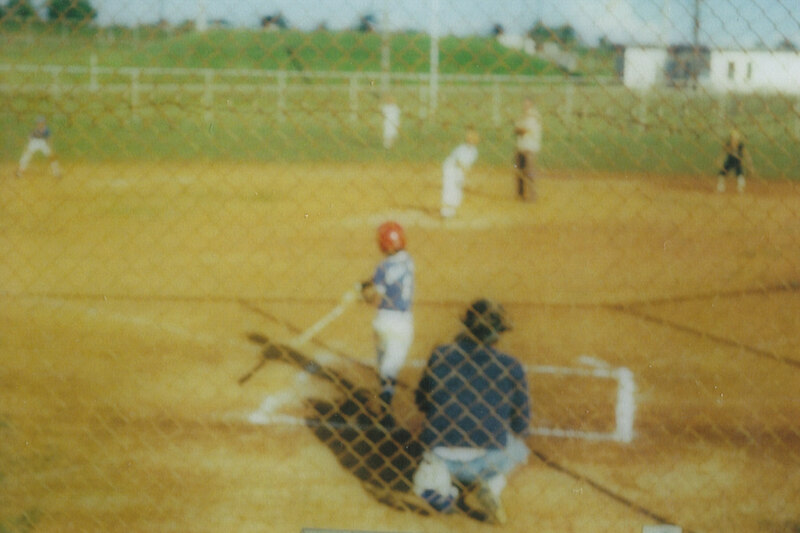 Bales at the plate. Possibly Gillespie stands on deck. This may be at Sinijana. Mar 16, 1980. Red clay "dirt" of Guam is very apparent around home plate. Bales batting with Pat Jacobson on deck. It appears to be Dededo Junior High in the background. Bales off and running towards second base. Gene Gillespie is first base coach and unknown runner at second. Possibly at Dededo Junior High. Bales swings through while facing the NCS All-Stars. May 1980. Photo obscured by chain fence. Bales scoring another run against the NCS All- Stars. The distinctive red and white water tower is visible in background. May 1980.